Innovative traffic safety research incorporating a mix of engineering and psychology by a team from Florida State University (FSU), is being deployed on highways to save lives by targeting the problem of crashes caused by wrong-way driving. According to the National Highway Traffic Safety Administration (NHTSA), wrong-way crashes kill about 350 people a year and injure thousands more across the USA. Walter Boot, associate professor in the FSU’s Department of Psychology and an expert on cognition and perception, has compiled two wrong-way driving reports for the Florida Department of Transportation (FDOT). The FSU’s research identifies ‘smarter’ signs and sidewalk markers equipped with advanced technology that can improve safety, with the study’s recommendations helping to shape FDOT’s future countermeasures for wrong-way driving. FDOT is currently testing those and other recommendations on the most effective safety measures. Boot started collecting evidence as part of a contract with FDOT following an unusual series of fatal wrong-way crashes in the Tampa Bay region in 2014. Boot was determined to reverse the chronic trend of wrong-way driving, which dates to the 1960s and the original construction of access-controlled divided highways. 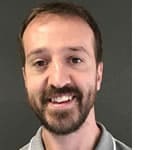 He embarked on a multiyear research project drawing on his expertise in visual processing and visual cognition to test detection-triggered wrong-way signs and pavement markers. The goal was to identify ‘intelligent’ technology that would better detect and prevent wrong-way driving and could be incorporated into new warning systems. Boot’s research team found that installing more countermeasures ahead of exit ramps helped, but additional warnings were needed to grab motorists’ attention once they started driving in the wrong direction. The next line of defense would be to install alerts that could cause wrong-way drivers to recognize their mistake, stop driving and turn around. 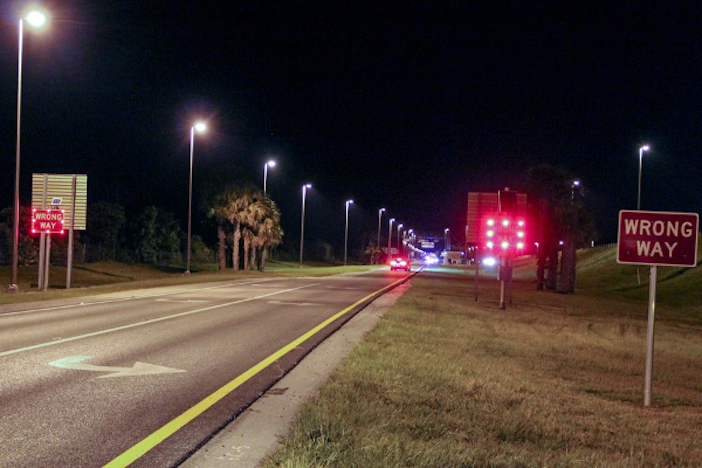 The team, working in collaboration with the Center for Urban Transportation Research at the University of South Florida and Florida International University, evaluated seven high-technology countermeasures that included radar-triggered blank signs that immediately lit up when they sensed wrong-way motion, as well as bright beacons that flashed asynchronously. The research included night-time field tests of seven prototypes on closed sections of Florida highways and exit ramps, with video recorded by Boot as he navigated through the countermeasures later used to develop scenarios that could be imported into FSU’s driving simulators. The team tested 189 participants’ reactions to real-life highway situations in the simulators, and also tested the effectiveness of countermeasures on impaired drivers, which account for nearly 50% of wrong-way crashes, according to a FDOT study.